Flora Info: These unique flowers are pollinated by hummingbirds and Sphinx moths. 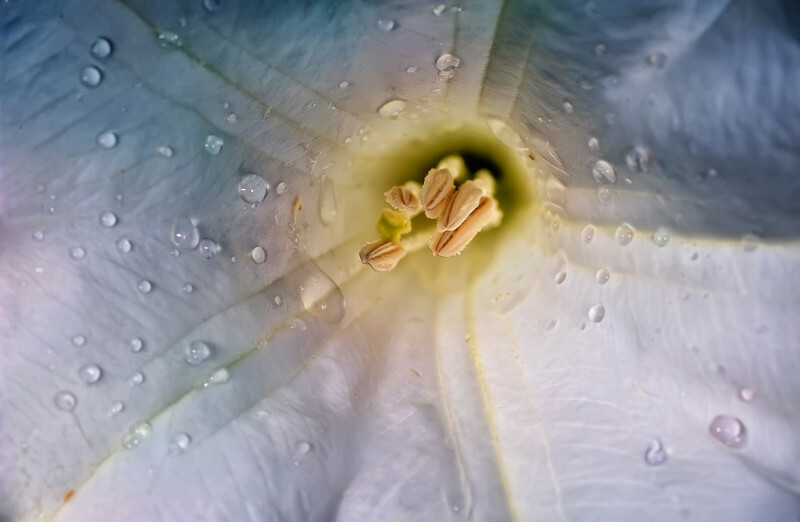 Native to the subtropical regions of South America, Angel's Trumpet flower is quite toxic and is related to sacred datura in the deadly nightshade family. If we had kids we might not grow them since all parts of Brugmansia plants contain dangerous levels of poison. Contact with the eyes can cause pupil dilation (mydriasis) or unequal pupil size. In other words, use caution!